GAMBIT: Updates: Rock the Vote! Rosemary has been nominated by Casual Gameplay, er, Jay is Games, for best downloadable adventure game of 2009! What an honor! 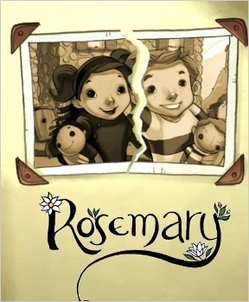 If you haven't played Rosemary yet, what are you waiting for? And while you are at it, y'all need to head on over to Jay is Games and Rock the Vote! There are some truly great games that are nominated alongside Rosemary, and cliche though it may seem, it really is an honor just to be nominated. Oh, thanks for asking... tonight we are wearing Dolce and Gabbana, and the shoes are Prada. Abe, what have I told you about borrowing my shoes without asking?